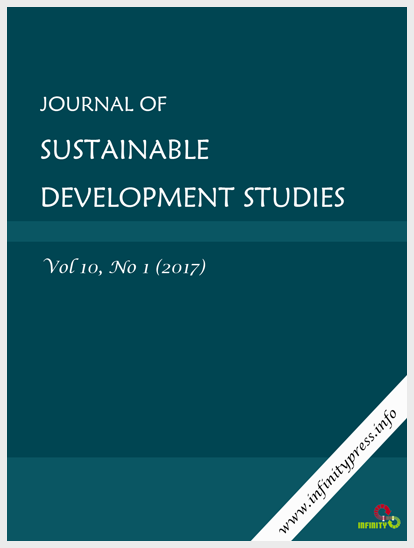 Journal of Sustainable Development Studies (ISSN 2201-4268) publishes papers in all aspects of sustainable development, including: Environmental sustainability, Economic sustainability, Social and cultural sustainability. The One Belt One Road (OBOR) initiative is a historical landmark which intends to connect more than two-thirds of the world population and opening up the windows for reviving global business, peace and infrastructural development across the countries. The main purpose of this paper is to discuss the OBOR initiative in general and also, to analyze its contribution towards economy and development. The sources of this paper are the published literature, newspaper articles and web information. The paper suggests that though some countries will be benefitted more due to the strategic location advantages, all the member countries will be advantageous if they can use the opportunity with better policy implementation. The authors hope that this paper will be useful for the academicians, policy makers and businessmen who want to study further and implement policies according to the OBOR plan. That African states confront multi-dimensional challenges is obvious. In recent times, so much has been said about Sustainable development. However, no serious attention has been paid to the issue of solving the problems by tapping from our indigenous knowledge in the schemes of ensuring sustainability and development. This paper, therefore, investigates certain aspects of indigenous knowledge for the purpose of reducing poverty, corrupt practices, crimes and other related social vices. The paper aims at exposing us to native African conceptual skills/knowledge, building good moral, promoting and preserving our cultural heritage and core values, not only for entertainment but also for economic values using indigenous knowledge as a platform. We adopt field study as our methodology and sociological literary theory as our theoretical framework. This theory is applied because it considers the relationship between arts in general and the society, which produced such arts. The study reveals that there is the need to revisit and reinvest in the indigenous knowledge, as foreign cultures cannot guarantee our sustainability as Africans. This paper concludes that individuals, scholars, institutions, corporate organizations and government at various levels have roles to play in making indigenous knowledge a veritable tool for a happy living.